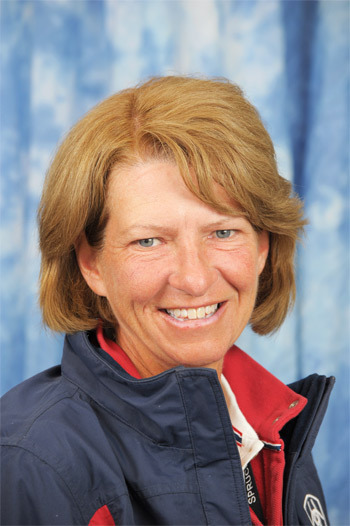 Elizabeth “Beezie” Madden is an American show jumping competitor and Olympic winner from Cazenovia, New York. She won the 2013 World Cup of Show Jumping with Simon in Gothenburg, Sweden and she has been 3 time USEF Equestrian of the Year. Madden was born Elizabeth Patton in Milwaukee, Wisconsin, the daughter of Kathleen “Kathy” McGregor/Schlesinger and Joseph “Joe” Patton. Madden has been asked, if she could start her life over again what would she do, and she admitted she would do the same thing. She began riding at the age of three and her first horse was called Flicka. She is coached by her husband, John Madden, who also runs his business, John Madden Sales, from their farm in Cazenovia. She frequently shows horses owned by John Madden Sales, but she also rides for other owners. Two of her most popular horses, Authentic and Judgement (who is now retired from the sport), are owned by Abigail Wexner and Iron Spring Farm, respectively. At the 2004 Olympic Games in Athens, Madden won the gold medal as part of the United States team in Team jumping, together with Peter Wylde, McLain Ward and Chris Kappler. That year, Madden also became the first woman ever to pass the $1 million mark in show jumping earnings. At the 2008 Beijing Summer Olympics, Madden earned gold in the Team Jumping competition along with Laura Kraut, Will Simpson and McLain Ward. She also earned a bronze in the Individual Show Jumping competition. She was also placed first in the Animal Planet Sport Horse cup aboard Judgement that year but during the 2008 Rolex Events in Las Vegas,Authentic threw Madden into a jump, and later was disqualified from the entire event. In 2012, Madden competed in the 2012 Summer Olympics for the United States on Coral Reef Via Volo. In 2013, she was the 4th ranked rider in the world on the FEI Longines Rider Rankings and the number one woman rider. To accomplish this goal she won the Show Jumping World Cup in Gothenburg, Sweden on Simon, the $125,000 FEI World Cup Grand Prix at the FTI Consulting Winter Equestrian Festival in Wellington, Florida on Cortes ‘C’, was a member of Team USA winning the $75,000 Furusiyya FEI Nations Cup CSIO4 at the FTI Consulting Winter Equestrian Festival in Wellington, Florida, again on Simon, the $35,000 RBC Capital Markets Cup 1.50 m at Spruce Meadows in Calgary, Alberta on Amadora, the $60,000 Great West-Life Cup at Spruce Meadows in Calgary, Alberta on Coral Reef Via Volo. The Global Champions Tour CSI5 Grand Prix of Chantilly in France on Cortes ‘C’ and the $100,000 American Gold Cup Qualifier in North Salem, New York on Coral Reef Via Volo. 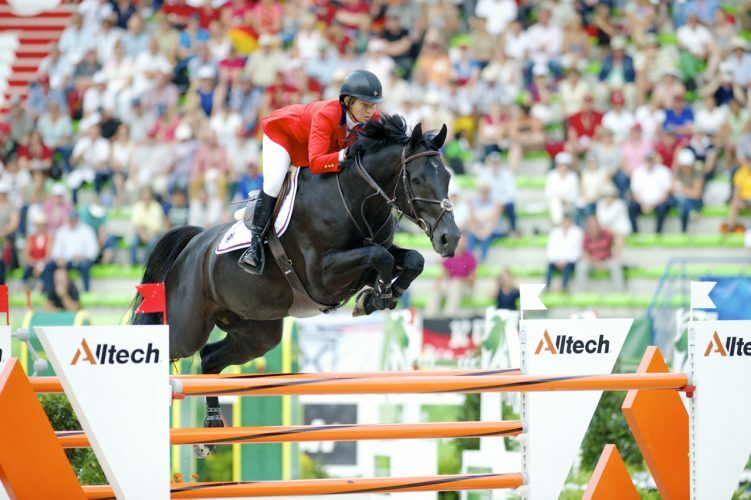 Beezie Madden is 2X Olympic Gold Medalist Team jumping, 2013 World Cup Winner Show Jumping and Olympic Bronze Medalist Individual jumping in 2008 Beijing Summer Olympics. She is in conversation with Namita Nayyar, President Women Fitness.